Emily Nix, Legal Assistant. 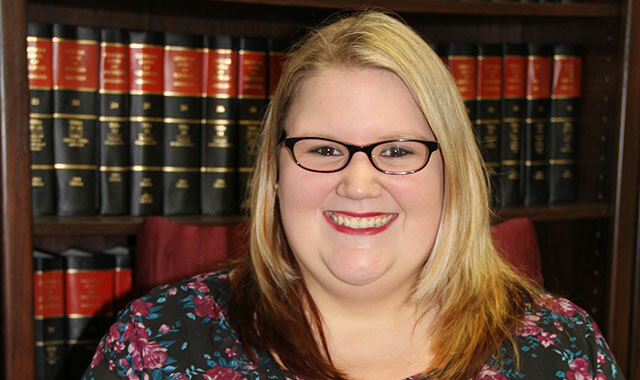 Emily’s expertise is working with Social Security Clients. She helps our Client’s not only apply for Social Security benefits but also help them understand the process. She is always there when our Client’s have questions. Emily also helps out with many other jobs at the firm. She has been a paralegal, which involves helping Client’s with auto accident claims, personal injury claims, as well as workers’ compensation. Outside the office, Emily is an avid reader and wishes to someday travel the world.